Given Japan’s mountainous terrain it should come as no surprise that Tokyo’s fringes boast many great hikes. So with that said, it’s time to dust off the hiking gear, grab some friends and hit the trails. The following hikes around Tokyo provide the chance to get back to nature while relishing in some breathtaking scenery along the way. 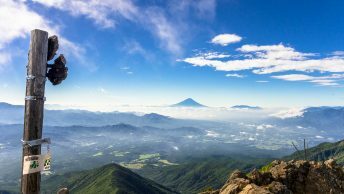 Along with the popular Mount Takao which attracts upwards of 2.5 million visitors a year; included are a couple of lesser known hikes guaranteed to provide some time for quiet reflection. Check out our comprehensive guide to mountains in the Kanto Region. A list of hikes around Tokyo wouldn’t be complete without a nod to the paved roads, chairlift and cable car ferrying day trippers up to Mt. Takao. Thankfully the mountain also includes the slightly less used Inariyama Trail which takes around 90 minutes to reach the top. After side-stepping the restaurants and refreshment stands those eager to lose the crowds have the option of traversing across to Mt. Kobotoke-Shiroyama and onto Mt. Jinba, though plan on making an early start if you intend on walking the full 18 km course. Situated only a short 40 minute walk from Mt. Mitake, Mt. Hinodeyama the ‘sunrise mountain’ provides a nice hide away from the foot traffic generated by the cable car. The views from the summit stretch wide across the Kanto plain and on clear days you may even catch a glimpse of the Tokyo Skytree! It’s worth noting on May 8, Mt. Mitake pays witness to Hinode Matsuri (Sunrise Festival) where a procession of omikoshi (portable Shinto shrines) and folk decked out in full samurai regalia can be seen at the Mitake Shrine and around the Oshi Village. This somewhat underrated hike includes a couple mountain tops to take in the splendour of Mt. Fuji. The walk begins from Torisawa Station where you follow a paved road before zigzagging up a rather steep track to a trail junction before making a final 10 minute detour to the summit of Mt. Ougiyama. After taking in the beautiful vistas head back to the trail junction and continue across to Mt. Momokurasan which doubles as an excellent spot to take in a leisurely lunch. Options from here include heading down to Saruhashi Station or continuing onwards to Otsuki Station a 2 hour hike away. 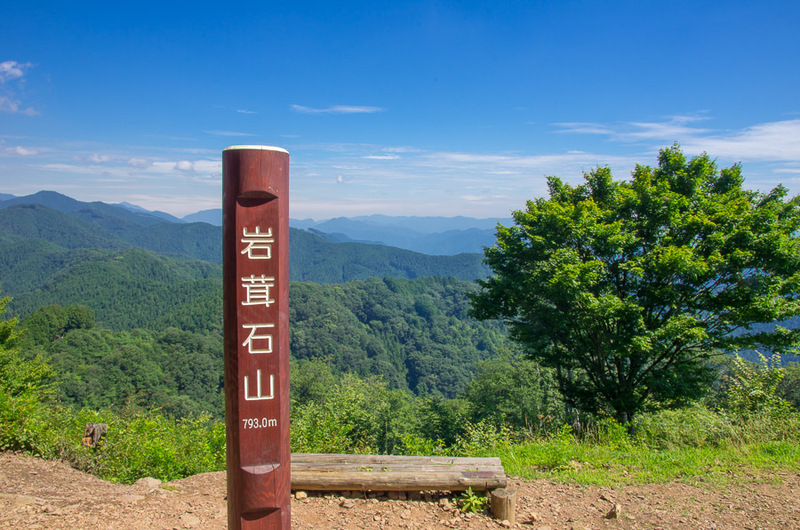 This family friendly hike contains one of the three famous mountains of Okutama, Mt. Mito and is a picturesque spot to enjoy fine spring weather. The easiest approach is by taking a bus from Musashi Itsukaichi Station for the hour long trip stopping just downhill of the Tokyo Citizen’s Forest museum which is the entry point for most day trippers. The loop hike around Mt. Mito takes around three and a half hours and passes by the high 33 metre Mito no Otaki Fall accessible via a suspension bridge. The summit while hemmed in by vegetation is a great place to pull out the picnic rug and enjoy the natural surroundings. Given its proximity to Tokyo the hike up Mt. Iwatakeishiyama via Mt. Sogakusan remains popular with Tokyoites. Starting from Mitake Station the hike commences on the north side of the JR Ome line where the trail steadily climbs up to Mt. Sogakusan and the Aojinja Shrine. From here there are a couple of tricky up and down sections before arriving at the summit of Mt. Iwatakeishiyama. After taking in some views out to Mt. Asama in Nagano Prefecture continue across to Mt. Takamizusan and its namesake temple. 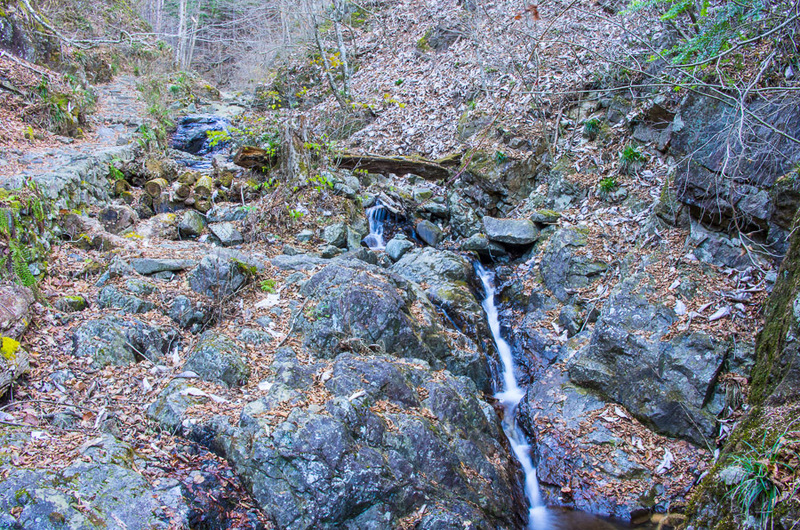 The last section of the hike is particularly scenic as you follow the stream back towards Ikusabata Station. Mt. Oyama traces its roots back more than 2000 years ago when the original Oyama Afuri Jinja Shrine was founded. Getting to Isehara Station the gateway to the mountain is only a one hour train ride from Shinjuku and after a short bus ride the options include walking the men’s or women’s trail or riding the Oyama Cable Car up to the shrine. The hike though not difficult includes walking an elevation gain of some 900 metres though the rewards are significant with terrific views towards Yokohama and even Oshima Island. The 7.5 km distance for Mt.Oyama is only way-up or round-trip? The 7.5km is actually for the return trip. If the Mirashidai trail via the Niju waterfall is open again the full loop hike would be closer to 9km. Good day! Came across your site while researching day hikes around Tokyo. On your hike descriptions, you input the difficulty level, but as a very beginner hiker, I would like to know what is it you consider easy and moderate (and hard!). Would someone who is not physically active be okay with an easy course or would it still be a challenge? Looking forward to hearing from you. Your site is pretty awesome and it’s really inspiring me to go and try some of the trails you’ve posted. Firstly, great to hear you’re enthused about tackling some hikes around Tokyo. The difficulty level is rather subjective and based purely on my own personal feeling. The hikes that I grade as easy are well trodden and suitable for beginners such as yourself as well as families. The hikes on this site that I would recommend for absolute novices would be Mt. Hodosan, Mt. Takao, Mt. Tenran, Mt. Koubou and Mt. Nokogiri. If you find these hikes a little underwhelming in terms of difficultly, I would then say attempt Mt. Iwatakeishiyama and Mt. Hinodeyama which are a slight step up. Basically, shoot for something easy the first time and with familiarity and experience you can build towards more challenging outings. Hi David, great post. Really, really nice overview. Kudos! I want to go on a hike soon and I’m looking for one near Tokyo that are really only/mainly forest/mountain paths, quiet and with great views. So no paved roads / shops or anything else except for nature! Was wondering which ones you would recommend. Hi Jan, thanks for the kind words. The majority of hikes on this site barring the likes of Mt. Takao basically fit this criteria but if you’re wanting to escape a little further into the backcountry here are a few I would recommended: Mt. Ougiyama, Mt. Kawanori and Mt. Takanosu. With the fall foliage season on its way shoot for a mid-week hike if you can to avoid the endless crowds. Wow, quick reply, thanks! I’m actually thinking about going tomorrow, that shouldn’t be too busy – right? Thanks for the help. Haven’t settled on a hike yet but I’ll definitely shoot for one of yours. Hi David, thank you very much for the list of great hikes. I will be in Tokyo in mid February and wonder if any of the trails you mentioned here will be open. Thank you for your comment and question. While these trails are open year-round they are covered in varying degrees of snow through the winter. If you intend on tackling any of these mountains (apart from Mt. Takao) especially Mt. Ougiyama, Mt. Mito and Mt. Oyama I would recommend carrying some 4-point crampons. Thank you very much for the quick response! Now that you mentioned the crampons, I will have to do a climb or 2 from your list. BTW, I went through your site and read some other articles and I found it a great planning tool for some one like me, who had never travelled in that part of the world and wants to see Japan beyond Tokyo’s skyscrapers. Thank you for your work! Hi David, just one more question. I got confused with all the transportation options and passes available in Tokyo area. Would you suggest any multi-day pass that would cover both Tokyo transit system and the hikes you mentioned in the article? Me too and I have lived in Tokyo for 10 years and use public transport nearly every day. Unfortunately, multi-day passes that cover the Tokyo transit system don’t exist. Each railway company lives in its own microcosm and they don’t like communicating with each other. If you have a Japan Rail Pass (JR Pass) you can use it for all these hikes except Mt. Oyama though some will require a connecting bus. For Mt. Oyama there is a Tanzawa-Oyama Freepass available from the Odakyu Sightseeing Service Center in Shinjuku (1,530 yen without a cable car pass, or 2,470 yen with a cable car pass). If you don’t have the JR Pass I would suggest getting a Suica rechargeable card which is usable in the Kanto region and is supported on virtually any train, tramway and bus system and just pay as you go. Is there a way to get to these locations for the sunrise via public transit or do you have to find accommodations near the base the night before? Trying to get to the top for sunrise. It would depend on the time of year for example in the summer it would be impossible as the sunrise can be as early as 4:30 am. At other times probably only, Mt. Takao is doable for a sunrise the other mountains as you say would require accommodations nearby or camping out. A couple years back I did exactly that on this early morning Mt. Takao hike https://ridgelineimages.com/hiking/mt-takao-early-morning-hike/ and managed to score the summit to myself!